A L'Olivier provides a collection of the best olive oils from the Mediterranean including the French A.O.C. products and an assortment of single variety olive oils from Italy, Greece and Spain. For sweet water fish and mixed salads with blue cheese. The unique and potent taste of Espelette pepper, the signature indredient in Basque cuisine, comes into its own in this olive oil infusion. Paris's oldest olive oil purveyor has created a miniaturized version of the drum in which olive oil was transported in the 19th century to their store founded in 1822. The exquisite flavor of roasted hazelnuts; for dressings, baking and marinades. 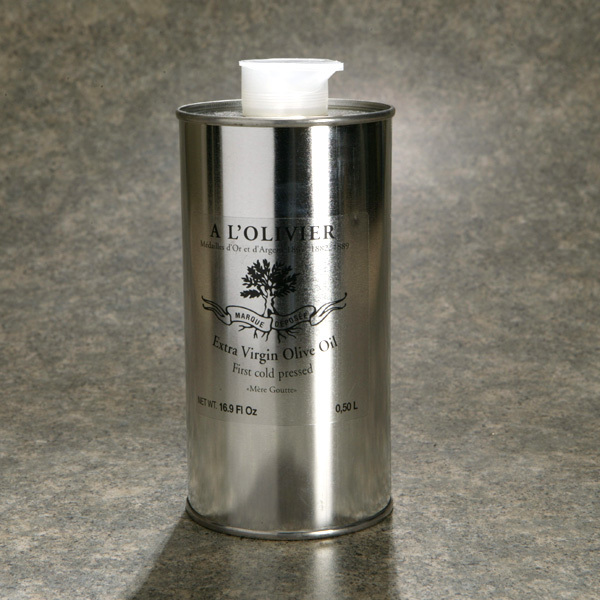 A classic Provence oil with Thyme, Rosemary, Basil and Tarragon. Use to flavor a wide variety of grilled foods, fish and vegetables. 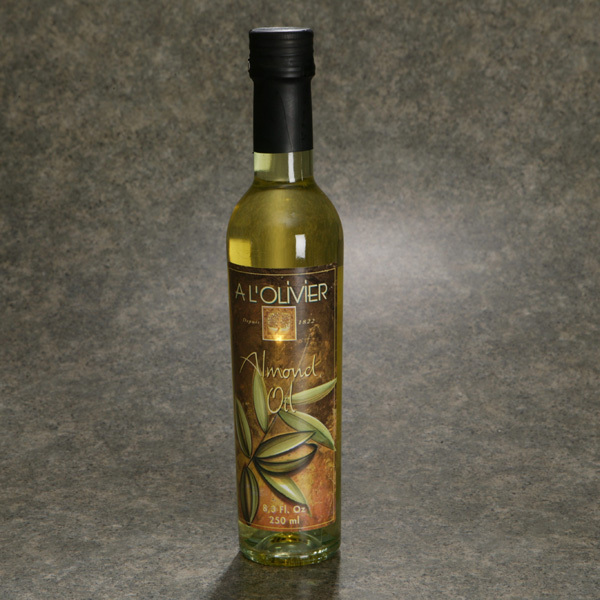 This white wine vinegar is bottled with fresh Lavender for a beautiful presentation and a delicate floral taste. Elegant, moderate strength for salads, vegetables, smoked fowl, French cheese, raspberry vinegar.